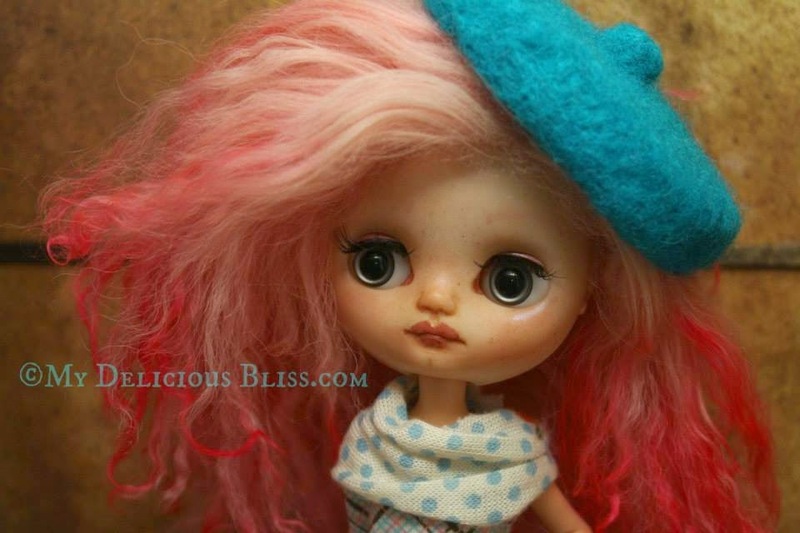 I introduce to you Lilliette, she was the first Middie Blythe in my collection. I have found that I no longer have the time needed to appreciate all the dolls in my personal collection and want to give them the opportunity to bring joy to someone else. Lilliette recently has gotten a new carving and face-up in a new rustic style that I find gives her a more romantic look. 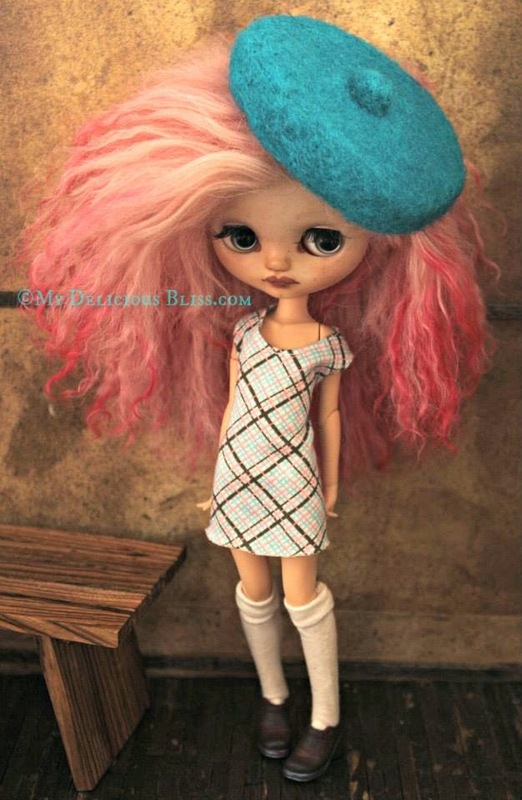 Lilliette is a Takara Macaron Q-Tea Party Middie Blythe featuring a Pure Neemo XS body with a Hand dyed two toned Pink Mohair wig by Sleeping Elf. ~Pure Neemo XS Body with extra hand with "Peace Sign"
Lilliette will travel in the ensemble as pictured, consisting of a felted fascinator, Plaid Shift dress, knee high socks and shoes. Lilliette will come with an Adoption Booklet signed and dated. ~~~This Art Doll is for the Adult collector only. She is a handmade Art Doll and not factory perfect. 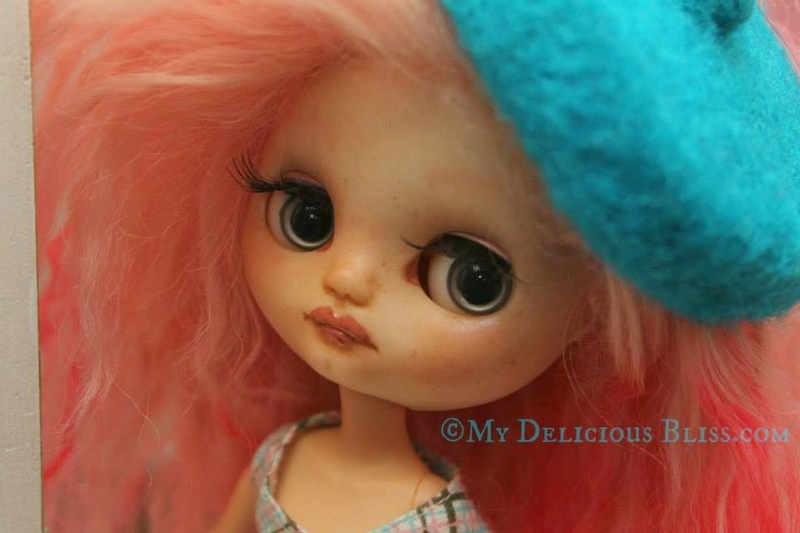 Any imperfections you may notice are a result of the handmade process and due to the nature of materials and methods used in creating my face ups, there could possibly be minor imperfections such as small amounts of dust, stray pastel, sanding blems or paint build up, so please be aware of this if it bothers you. All photos are unedited and taken indoors with Ott Light and a flash bounce to show true coloring and details.